A durable, outdoor-friendly material that is perfect for mounting on a range of subtrates and surfaces including painted dry wall. This product is used for point of purchase displays, trade show displays, hard-to-adhere substrates and permanent wall graphics. Quantities： Ranges from 1 to 1000 forms Each form. Remove adhesive back and place graphic on the surface. 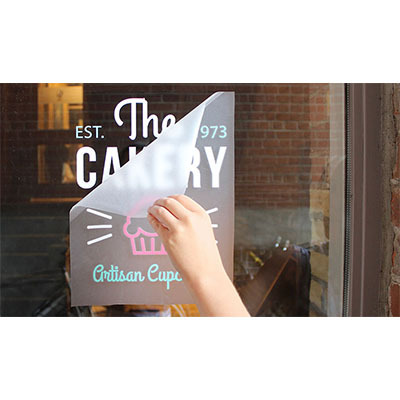 Before placement, ensure graphic is completely dry and place it on clean and flat surface.